Does your pet struggle to get in and out of the car? Does your cat run every time you get out the cat cage? Making the trip into the clinic can be a great deal of strain for both you and your pets. But it doesn’t have to be. Our mobile veterinary service takes the stress out of a vet visit by coming and visiting you and your pets in the comfort of your own home. With our new mobile vet vehicles, we are able to travel to you home and provide the same exceptional care you would receive at our clinic. Our fully trained and highly experienced staff are now able to come to you and treat your pets in an environment that both you your pets are more comfortable in. 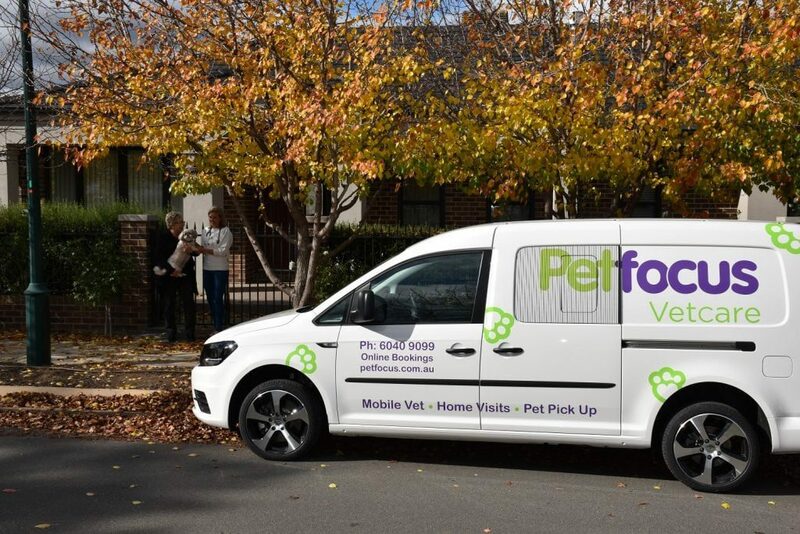 We are available to service Albury, Wodonga, Lavington and the surrounding areas. © Petfocus Vetcare. All Rights Reserved.